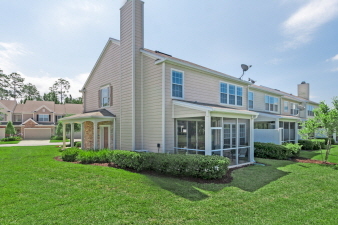 ‘Ironwood’ is a Well-Maintained Gated Community on Jacksonville’s “Southside”, Very Convenient to Tinsletown Entertainment Complex, St. Vincent’s Hospital, Publix, A Variety of Shops & Restaurants, JTB, I-95, Downtown, South Point Park Commercial Center & Just a Short Drive to the Beaches! Interior Features Immaculate 3 Bedroom, 2.5 Bath End-Unit Townhome/ Pulte Built in 2005 with 2,110 Sq. Ft.